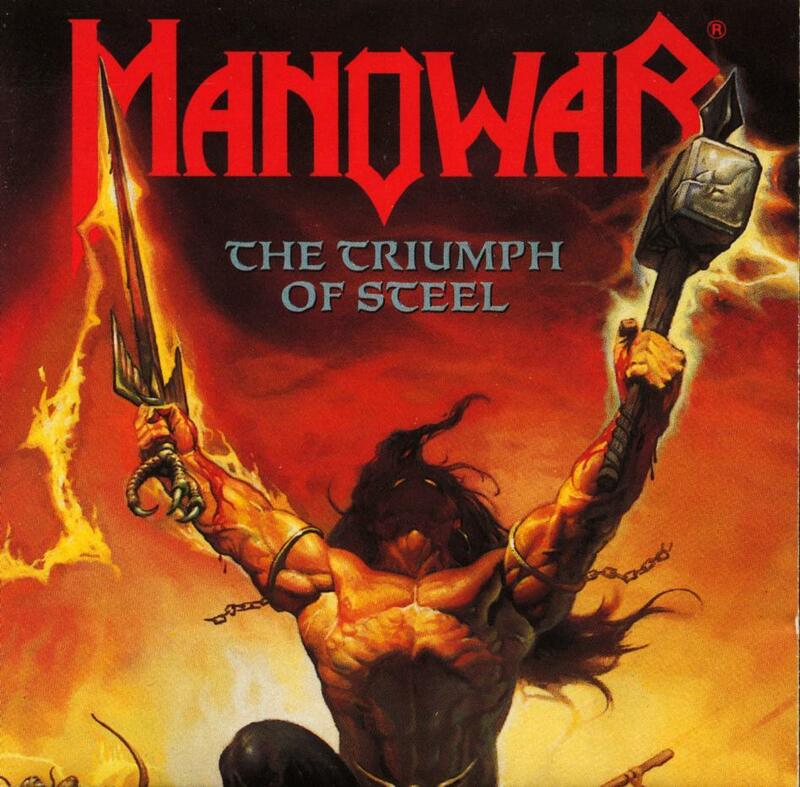 Manowar rip off their shirts, flex their muscles, flex the muscles on their muscles, grab the longest, sharpest swords, invade the nearest, darkest medieval castle, and start hacking away. They land a couple of good blows, but then start lopping off their own limbs in desperate lunges to find any target. The Triumph Of Steel, the band's seventh studio album, shows clear signs of ambition exceeding ability. The centrepiece of the record is the opening track, Achilles, Agony and Ecstasy in Eight Parts, a retelling of the Trojan War story from Greek mythology, and clocking in at a remarkable 28 minutes. Any piece of music at that length in any genre is only ever going to be patchy, and Achilles fluctuates from brilliant passages to time-filler snoozy segments, including the unwelcome return of the drum solo, a particularly uninspired, rickety effort from Rhino. Where most Van Halen albums would be ending, The Triumph Of Steel is just getting started: there are seven more tracks after Achilles, and 40 more minutes of music. Metal Warriors is a straightforward celebration of metal, delivering the goods as far as broad-appeal anthems go. Ride The Dragon ups the pace and snorts its way to satisfying guitar solos. Then the album loses its way and most of its momentum, with unnecessarily long tracks that develop the irritating habit of dropping into almost silent, glacier-speed passages, ostensibly to build mood but only succeeding in interrupting any flow. The ideas and intentions are good on tracks such as Spirit Horse Of The Cherokee and The Power Of Thy Sword; the execution and delivery are suspect, Manowar seemingly more interested in creating movie soundtracks than solid music. The Triumph Of Steel features epic cover art and a fold-out poster that would impress most young teenage boys. Unfortunately, and as juvenile as it is, the artwork remains enjoyable long after the impact of the music has faded away. Engineered by Rich Breen. Recorded by Haus Wanfried.